Sometimes the best type of environmental action is not buying anything – but just being happy with what you have. But when it’s finally time to upgrade the kitchen, what’s a Jewish environmentalist to do? In this blog series, follow Evonne Marzouk and her family as they embark on their “sustainable kitchen project.” In this multi-week series, Evonne will share their environmental choices and the Jewish values that inspired them — while also sharing pictures of the kitchen as it is demolished and rebuilt. Get the full scope here on her blog homepage. Please help us develop a new, cutting-edge science and Torah environmental curriculum. The Torah is full of teachings and miztvos about caring for our planet that are deeply intertwined with Torah Values. Yet, our communities, and more importantly our schools, do not currently have the tools to educate their students in these teachings. Canfei Nesharim offers Torah teachings, activities and resources related to nearly every Jewish holiday. Whether to enrich your personal learning or to inspire your school and community, these resources can help you celebrate with an eye to environmental consciousness and Torah wisdom. Exciting news! 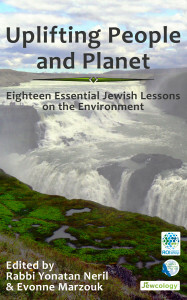 Just in time for Tu b’Shevat, Canfei Nesharim and Jewcology are proud to announce the launch of a new ebook exploring traditional Jewish teachings on the environment, Uplifting People and Planet: Eighteen Essential Jewish Lessons on the Environment, edited by Rabbi Yonatan Neril and Evonne Marzouk. 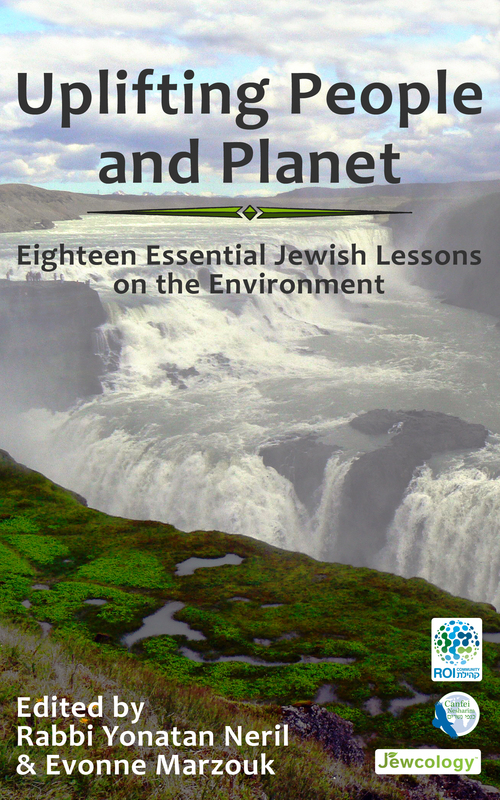 This ebook is the most comprehensive study available in English of how Jewish traditional sources teach us to protect our natural resources and preserve the environment. From food to trees, energy to water, wealth to biodiversity, the book studies eighteen topics where Jewish tradition has a relevant lesson for today’s environmental challenges. From Tu b’Shevat 5773 to 5773, Canfei Nesharim organized our Year of Jewish Action on the Environment, in partnership with Jewcology! We focused on saving energy and reducing food waste, with practical actions suggested by the Jewish mitzvah of bal tashchit. Canfei Nesharim is proud to present Torah teachings and source sheets for every parsha of the year. You can help us preserve Hashem’s resources and create a better world for our children. Support our Work. Would you like to bring Torah and environment education to your shul or day school? Contact us for more information.